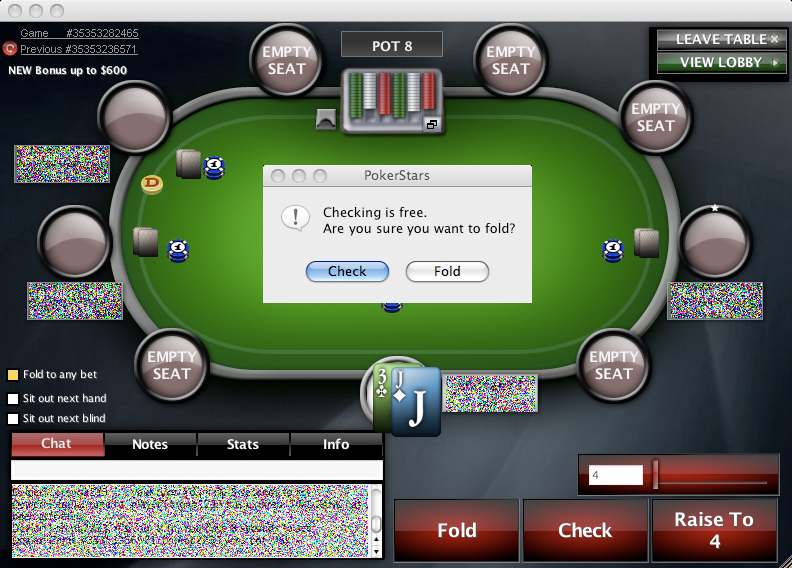 Last night when I played poker on PokerStars I incidentaly hit the “Fold” button when I was going going to “Check”. When I did I got an alert window saying “Checking is free. Are you sure you want to fold?” and then there was two buttons “Check” and “Fold”. I think there are two things that could be improved here, first the main “Fold” and “Check” buttons at the bottom are “Fold” to the left and “Check” to the right but in the alert window they are the opposite “Check” and then “Fold”. This confused me since I expected to see them in the same order as below. The second thing is, why have a “Fold” button? Since it won’t cost me anything to check and see another card. Why would I fold? Removing the “Fold” button would make less players hit the wrong button and they don’t have to think about which button to hit. This will make the game go faster and in the end make more rake for PokerStars. I got a good comment from Matt on why to keep the “Fold” button so here is a suggestion where you keep the “Fold” button but make the alert consistent with the order of the buttons. Thanks for the input Matt! Ps. 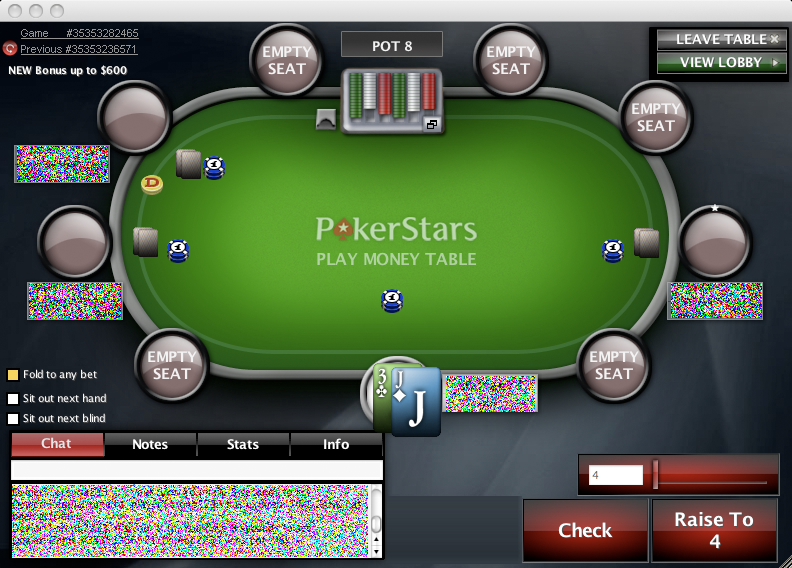 I wrote a blog post giving PokerStars a design advice back in September. This solution is now implemented. Ds.